Save over £100 and available for instant download! The Ultimate Training Contract Pack includes training and advice on making job applications, preparing a CV that gets results, completing application forms, attending interviews and succeeding at assessment days. The pack includes our Interview Training Pack, CV Writing Pack, Assessment Day Training Pack & Application Form Advice. 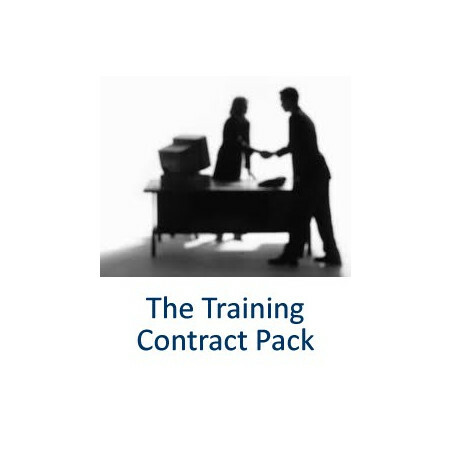 The Ultimate Training Contract pack for law students and graduates looking to get ahead in law and successfully secure a training contract. Available for instant download, this is a money saving deal designed to help you apply for jobs, gain interviews, survive assessment days, perform well at training contract interviews and get a training contract. The RRP for these products is over £150. You can order the Ultimate Training Contract Pack for just £49.99. All the products listed are available for immediate download.